TOMRA Sorting offers different training possibilities for your employees, ensuring a rapid deployment of your food sorting machine and steam peeler. By TOMRA Sorting GmbH Office in Buffalo, NEW YORK (USA). 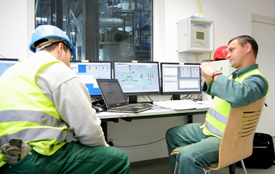 Well trained staff is essential for the safe operation of a plant. 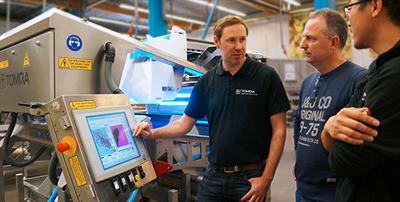 In order to prepare the staff in the best possible way for the operation of the plant. By Amandus Kahl GmbH & Co. KG Office in Roswell, GEORGIA (US) (USA). AgWorks offers on-site, hands-on training with our mobile training lab. With up to 8 mobile workstations, we can train your staff to become AgWorks Project Leaders (APLs). Through our testing process APLs can then become your certified AgWorks experts. By AgWorks L.L.C. based in Davenport, IOWA (USA). By c-Systems Software, Inc. based in Arlington, TEXAS (USA). By Nor Cal Aquaponics based in Willits, CALIFORNIA (USA). By Blaze Systems Corporation based in Newark, DELAWARE (USA). Bale Band-It Training Seminars are a great way to get a hands on course to understand the Bale Band-It from those who know it best. By GFC based in Pittsfield, ILLINOIS (USA). 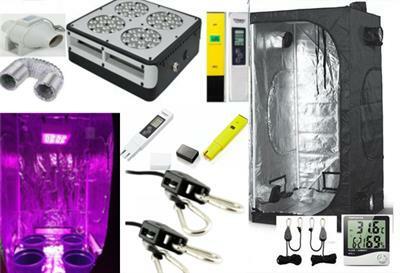 Learn how to set up complete indoor grow tents from scratch. A perfect solution for those looking to start growing plants indoors within their own little futuristic hydroponic world. By Goblin Hydro Sales and Service based in WASHINGTON (USA). By American Filtration & Separations Society (AFS) based in Madison, TENNESSEE (USA). One of the biggest competitive advantages a producer can have is to improve your business skills. Our comprehensive training is designed for agricultural producers looking to proactively take charge of their business. By AgriSolutions Inc. based in Brighton, ILLINOIS (USA). The Basics of Plant Nutrition module is a review of essential elements for plant growth, both macro and micro. It also reviews the main functions of the big three essential elements as well as general plant nutrient needs. 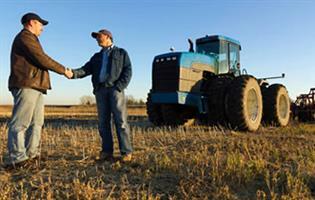 This is a beginning module in the Fundamentals of Applied Agronomy - plant nutrition section. We offer a wide range of training options: Training 1. On-line training. In-house training - by appointment in our office. On-site training and consultation - by appointment only.. FBS-certified accountants and consultants. By FBS Systems, Inc. based in Aledo, ILLINOIS (USA). By GPA Midstream Association based in Tulsa, OKLAHOMA (USA). Farmer and Farm For Profit specialists, using state of the art testing methods, share information on common problems and how to balance soils nutrition with skill, knowledge experience, and products. By B & S Research, Inc. based in Embarrass, MINNESOTA (USA). By Cerlic Controls AB Office in Atlanta, GEORGIA (US) (USA).